Once again, I answered the call of the sea and spent the Memorial Day weekend off the coast of North Carolina watching birds - and dolphins and whales. I have been hoping to go offshore in North Carolina for a long time. 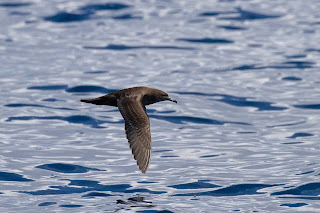 The reason is that there are different birds seen there including Petrels. 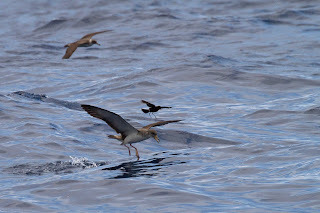 Four species can be seen however, we only saw 2 (Black-capped and Herald) but it was worth the trip. 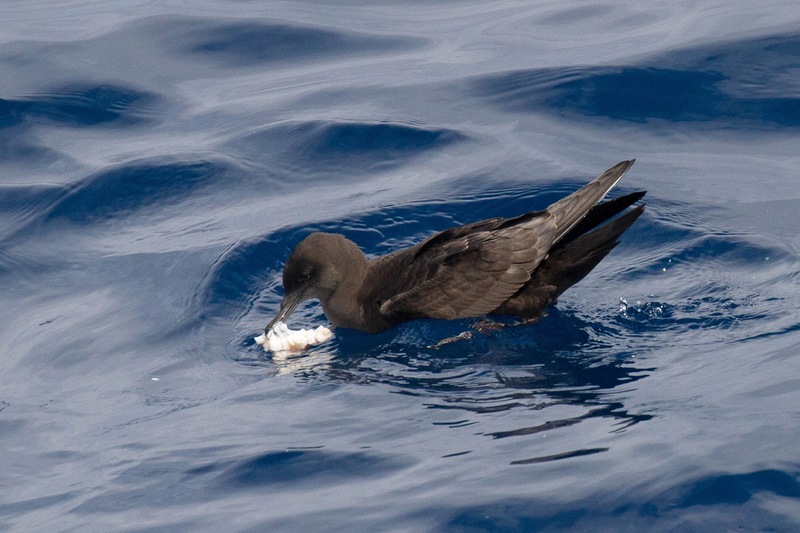 Some of the sights included flocks of Wilson's Storm Petrels running across the water's surface picking up suet chunks that we use to draw them close to the boat. 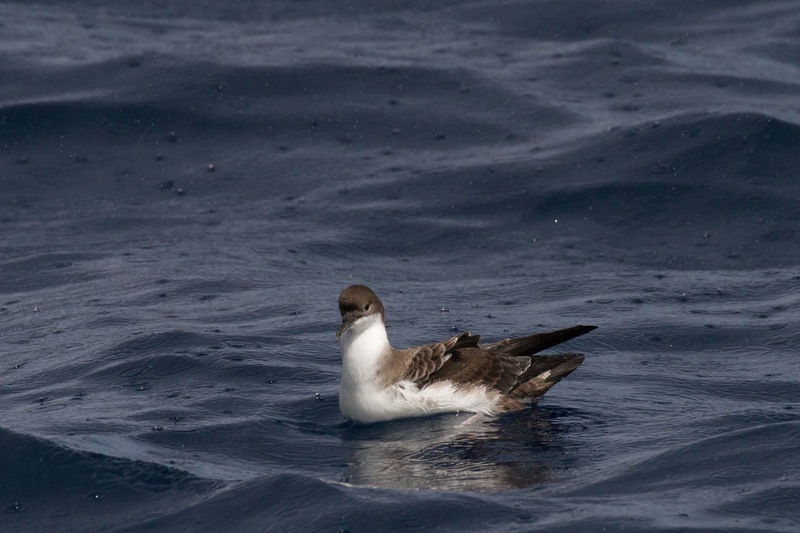 And these Shearwaters. 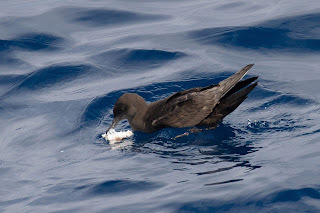 Great Shearwater here. It rained off and on. 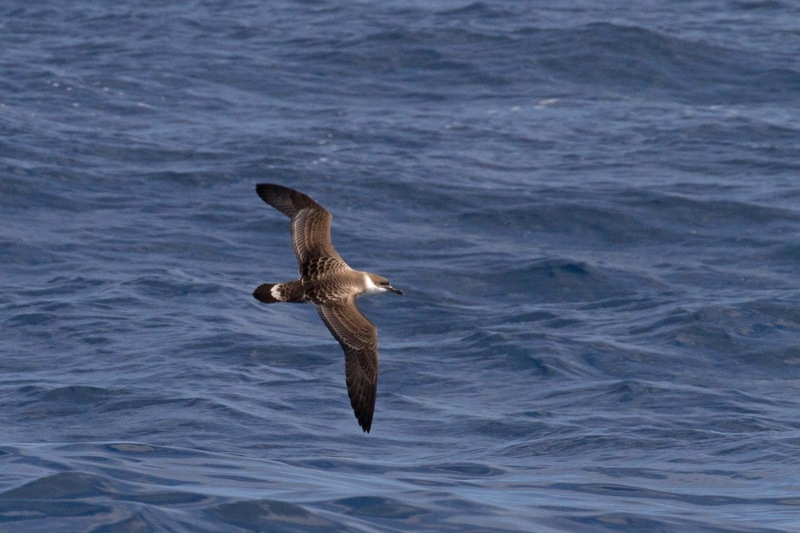 Here is the Great Shearwater paddling around in a sun shower. We saw 2 Sooty Shearwaters too. 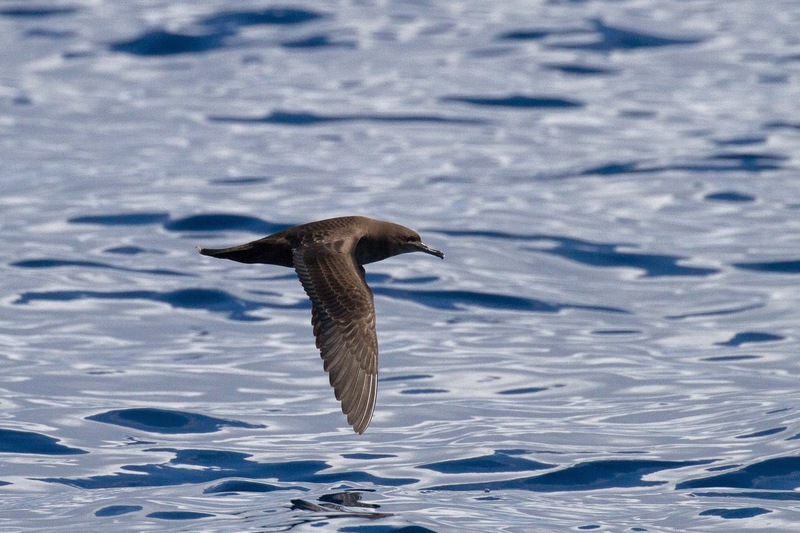 They are less common and really pretty birds. This one found a piece of suet to eat. He flew past the boat a few times showing off his handsomeness. 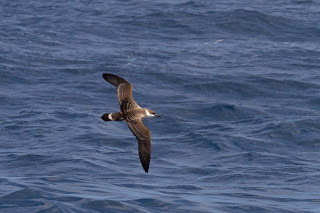 Cory's Shearwaters were the most numerous. 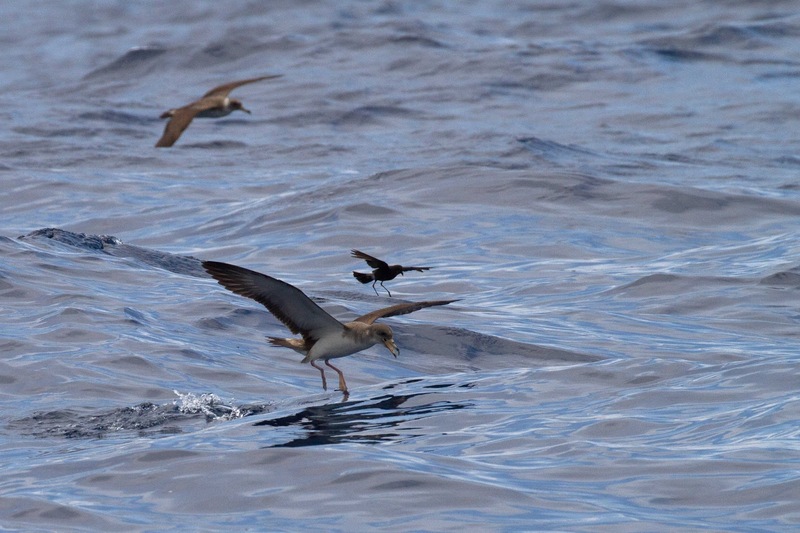 2 of them seen here with a Wilson's Storm Petrel. Birds weren't the only highlight. 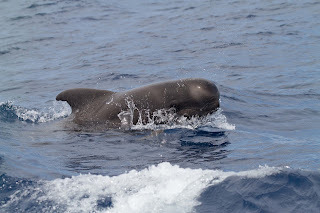 We also had great views of Pilot Whales. You can identify them by the big round head. You can see how close they were to the boat in this photo. A special interaction with Offshore Bottlenose Dolphins when a few of them played in front of the boat. Here is a shot of Marty and Mike on the front of the boat. Luckily, the waves were calmer at this point. Here is a video of them. I hung over the front of the boat and filmed this scene with my iPhone. Notice the bright blue water - this is the Gulf Stream. You can also see a Remora sucker fish hanging on the Dolphin. 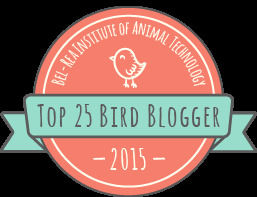 More stories next which also include non avian animals.